Hotel Madurai Ashok is a three star property located at Alagarkoil Road in Madurai. The hotel belongs to Indian Tourism Development Corporation (The Ashok Group). Out of the several categories that the chain has, Hotel Madurai Ashok falls under the Ashok Classic Hotels category. The hotel is well connected to the Madurai junction Railway Station and approximately 14 km from the Airport. 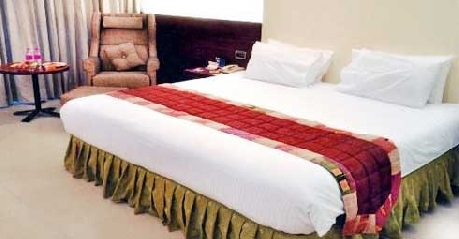 The hotel enjoys location advantage as it is situated in the city centre. The hotel is a good combination of hospitality and services making it a preferred choice for both business and leisure travellers. Double Rooms are spacious well lit and centrally air conditioned. The rooms come with amenities like attached bathroom with hot and cold water, 24 hours room service, television, in house laundry, safety deposit lockers, high speed internet connectivity, doctor on call etc. 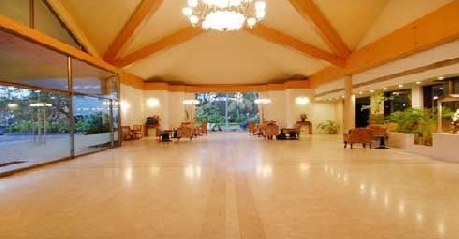 The spacious centrally air conditioned suites come across as well designed and well furnished with all modern amenities like hot and cold water supply round the clock, 24 hours room service, refrigerator, telephone, television, in house laundry service, high speed internet connectivity, safety deposit lockers, etc. The multi cuisine restaurant at the hotel serves the best of ambience and delicacies to its guests. The restaurant menu offers a variety of options to choose from like Chinese, Continental, India, and authentic traditionally cooked local delicacies. It is known for serving its guests in a warm and satisfying manner. A well stocked in house bar that serves a wide range of quality liquors. The bar also comes with variety of cocktail and mocktail drinks to choose from. The bar offers a modern ambience and warm hospitality that provide all the comforts expected from a hotel of this class.